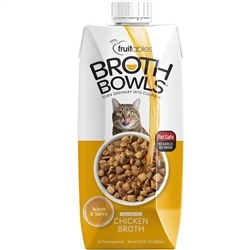 Fruitables Chicken Broth Bowls for Cats Food Topper - 16.9oz. Fruitables Chicken Broth Bowls for Dogs Food Topper - 33.8oz. 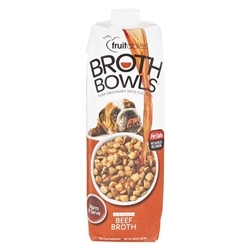 Fruitables Beef Broth Bowls for Dogs Food Topper - 33.8oz.